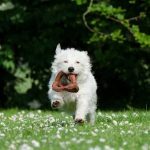 How to Best Use Treats in Dog Training | Woof Report | The best email newsletter for dog lovers. 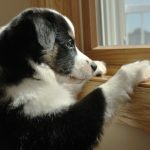 Most of us use treats to reward and reinforce correct behaviors during dog training, but it’s who can’t use a refresher. 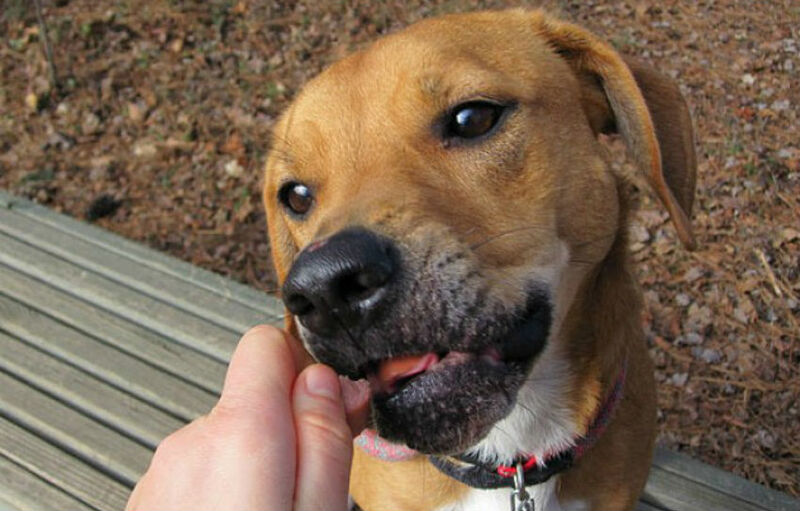 Read on for the most effective way to use treats in dog training. 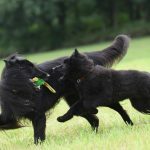 Training your dog of any age offers many benefits. Training provides mental stimulation, reinforces your dog’s good behavior around people and other dogs, and it’s a wonderful way to bond with your dog. As you already know, and any dog will certainly tell you: treats are an important part of training. 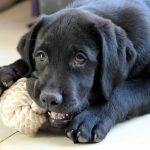 However, while treats will motivate your pup, reinforce behavior and accelerate training, they need to be used correctly. For the scoop on using treats properly for training, here are some tips from the Association of Pet Dog Trainers (APDT), the world’s largest educational and professional association for dog trainers, which promotes reward-based training methods. While most dogs easily learn to enjoy praise, petting, and play – all of which also make good rewards, food still holds a special place in a dog’s mind (and stomach) and can be a valuable reinforcer. Treats let your dog know she performed a behavior correctly, but it’s important to make sure food is being used as a reward and not a bribe. If you ask your dog to do something and she does it, and you give her a treat, that treat is a reward. If you ask your dog to do something she knows how to do, a behavior that she’s demonstrated repeatedly on request, and she doesn’t do it until you offer a treat, the treat just became a bribe. Good training strives to avoid bribery and results in your dog performing a desired behavior whether or not she gets something in return. The trick is to get the visual presence of the food out of the learning picture as soon as possible. For instance, by holding a treat at your dog’s nose and over her head in teaching the ‘sit’ command, you want to get the treat off her nose just as soon as you see her perform the behavior. At that point, start using the same gesture minus the treat, and reward her with a treat from your pocket once she is seated. This helps teach your dog that she must successfully do the work before you’re willing to dole out the reward. 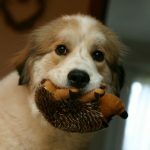 Once your dog is reliably responding to your commands, begin to vary how she gets her rewards. Offer treats occasionally, which is exciting for dogs and often motivates them to work even harder, but now also offer verbal praise, petting, an ear or belly rub or a toss of a favorite toy. 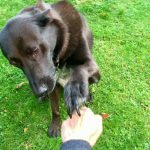 By using these types of “life rewards,” you’re teaching your dog that keeping you happy by complying with your requests is the key to opening the door to everything good in his world – not just food treats. Use soft treats and make them small – about the size of a pea. Small, soft treats can be eaten quickly, which helps keep your dog focused, and allows you to be generous without over-feeding your dog. Dogs don’t care about size; they’re more impressed by quantity. Try different types of treats to see what really excites and motivates your dog. Treats can be bits of cooked meats, cheese, hot dogs, pasta, dry cereal, kibble and even fruits and vegetables. Save your “extra special’ treats for training in distracting environments. Kibble may work as a treat at home, but may not do the trick at the dog park among distracting sights and scents. Get into the habit of petting your dog as you deliver the treat. When you consistently pair petting with treats, you raise the value of your touch. Now you have another way to pay your dog: petting! Don’t overdo it. Consider cutting back a bit on what goes into your dog’s food bowl and/or set aside a portion of her kibble and use that for training. Thank you to the Association of Pet Dog Trainers for permission to share their tips on Woof Report. Read more from the APDT and check out their other resources for dog owners. Thank you to Bull City Dogs on flickr for the photo of Yolanda. Interesting! I hope that everyone had a great weekend,is having a great week and I hope that they have another great weekend! I also hope that they enjoyed the recent holidays that we’ve had!